*This is a sponsored post where I have been compensated by Viva Vantage for my styling services and participation in the “Break Up with Your Towel” campaign. All thoughts and opinions are my own. 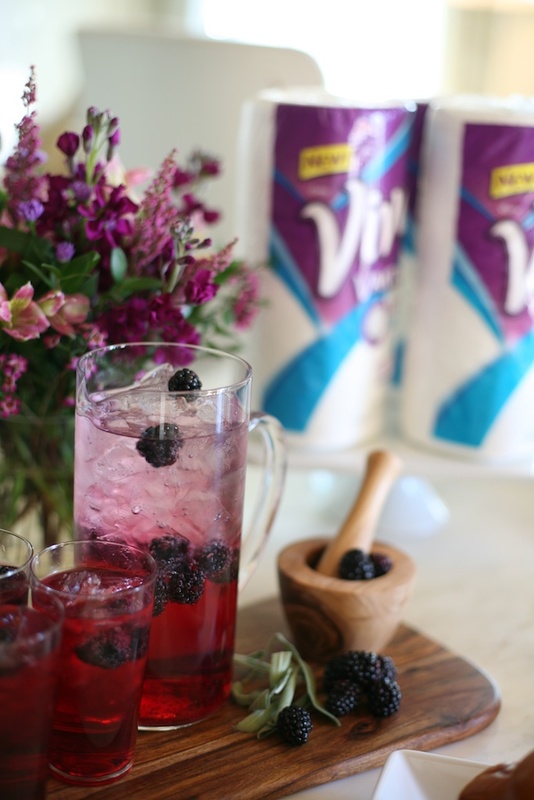 I could not wait to share this post about my work on a recent photo shoot campaign with Viva Vantage paper towels and Trista Sutter with all of you! Last week was a huge and fun challenge for me professionally, and I am so excited to say I survived, and not only that, I learned so much! I was contacted to style a photo shoot for Viva Vantage in West Hollywood because they were launching a new campaign with Trista Sutter (yes, the Bachelorette!) serving as their spokesperson. 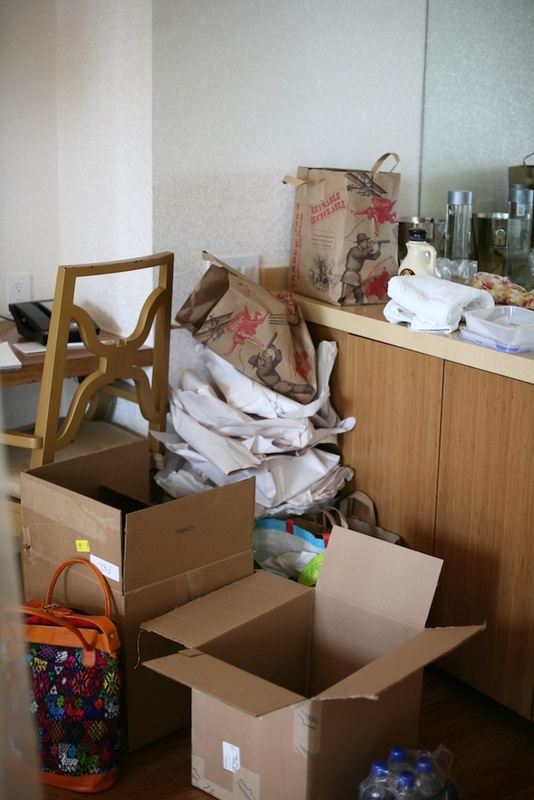 The idea was for her to throw a “break up party”, no not a break up with her sweet husband Ryan, but a break up with your old paper towel once and for all and move on to Viva Vantage. You can read more about the whole campaign here, and it’s interactive too so you can get your own coupon or participate through Twitter. My job in all of this was to create the party. What foods would she serve, what drinks? I had to create a theme and mood for the event and then do a little behind the scenes documentation too. She was going to have a photo shoot and then have an afternoon of interviews with the media, followed with a trip to the CBS show The Talk. My planning began and I have to say, since I love planning parties it was extremely fun. I discovered you need a ton of stuff for a photo shoot and need to have a million options on hand for different scenarios. Going into it I knew the size of the table but that was about it. I created a mood board and put all the pieces in place like food vendors, meeting with florists, scheduling delivery and pickup times, purchasing props and decor, but putting it all together was where the real work started. I had to test the drink beforehand to make sure it not only look pretty, but in case someone took a sip, it was still tasty. Which is exactly what happened by the way, and it was yummy. Phew! I served a sparking blackberry and sage drink (sage is very cleansing and I thought any good break up needed cleansing), blueberry waffles, sloppy joe sliders, soft pretzels (you know carbs are a comfort food category right? ), chocolate truffles and peanut butter and chocolate bars (chocolate, well, I don’t need to say anything else). After the shoot, I got to exhale and interviews with Trista and the media began. There were reporters from all different publications and websites, and I was beaming just a little that they all loved the setup so much. Not to mention they were devouring and snacking on the treats all afternoon. ItSweet & Savory’s bars and truffles were talked about for hours! It was a whirlwind of a day, actually all week I should say, because the prep work started the week prior. I ate, breathed, slept and dreamed break up foods and decor. It consumed my thoughts, and I’m so happy that all the time and effort turned out to be worth it! 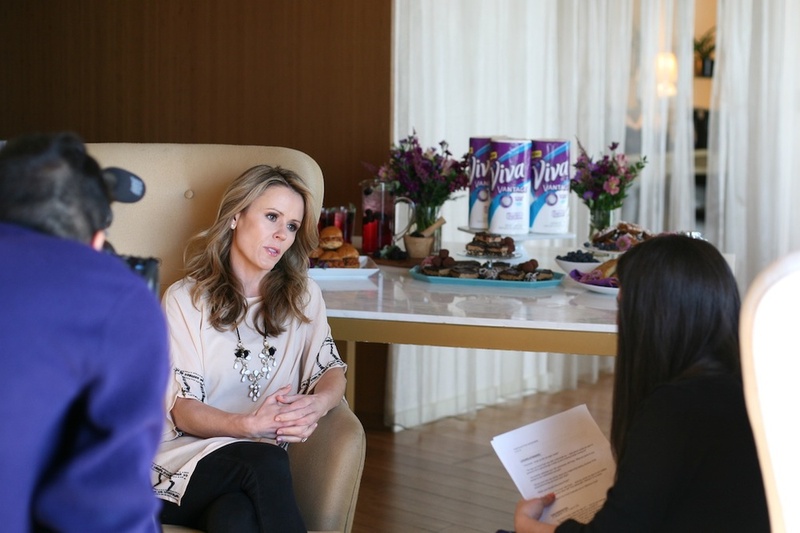 It was great working with both Trista Sutter, who was a sweetheart and so kind, and Viva Vantage. Thanks for taking a chance on me and giving this girl a crash course in professional styling!